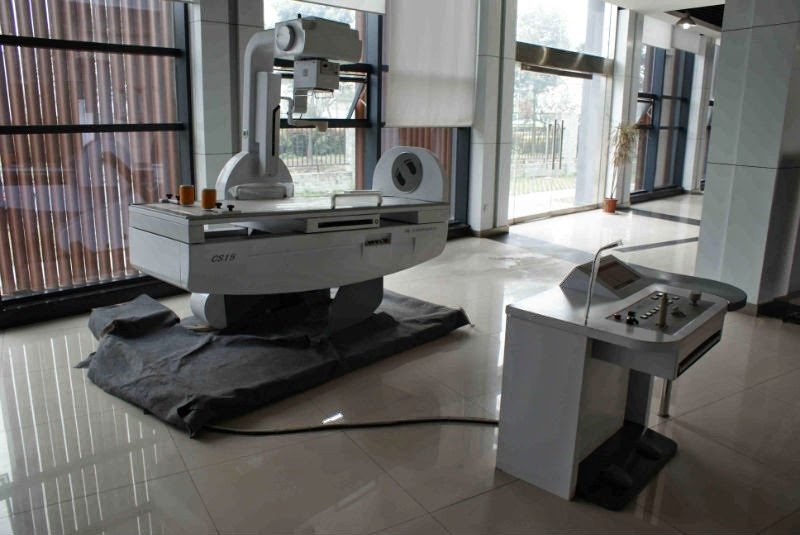 HA NOI (VNS) — The Ministry of Science and Technology will begin a three-month inspection on the use of X-ray machines and measuring equipment in medical stations this month. The inspection aims to ensure residents' safety in the wake of reports by provincial and city departments of science and technology that indicated many violations in manufacturing, importing, trading and using measuring equipment, Tran Minh Dung, deputy chief inspector of the ministry told the Ha Noi Moi (New Ha Noi) newspaper. Four out of five inspected enterprises in the Central Highlands province of Lam Dong used out of date electricity meters. Seven out of 10 medical stations in the southern province of Bac Lieu used substandard sphygmomanometers, thermometers and electroencephalogram meters. The inspectors also checked more than 22,300 clean water meters in the northern mountainous province of Cao Bang and found that 15,000 were out of date. Last year, 12 out of 40 inspected medical stations in HCM City had serious violations related to the use of X-ray machines, such as not obeying safety regulations when operating the machines and not putting the machines in the right place. "These violations seriously affect patients," said Dung. The inspectors will inspect X-ray machine room quality and operating process as well as the qualifications of the operators and their use of protective equipment such as coats and glasses. Punishment for X-ray machine-related violations will be based on Decree 107/2013/ND-CP, in which the highest fine for an individual is VND500 million (US$23,800) and the highest for an organisation is VND1 billion ($47,600). Punishments for violations related to measuring equipment will be based on Decree 80/2013/ND-CP, in which the highest fine for an individual is VND150 million (US$7,100) and the highest for an organisation is VND300 million ($14,200). In addition to levying administrative fines, ministry inspectors may withdraw equipment and profits from illegal trading. The ministry asked provincial and city people's committees and other relevant departments to help conduct the inspections. Last year the ministry held a preparatory training course for 250 inspectors from the country's 63 provinces and cities.